Kicking off the week is another look at Hilb, the seemingly part-man part-goat character portrayed by Timothy in Waterhole #3 (1967). 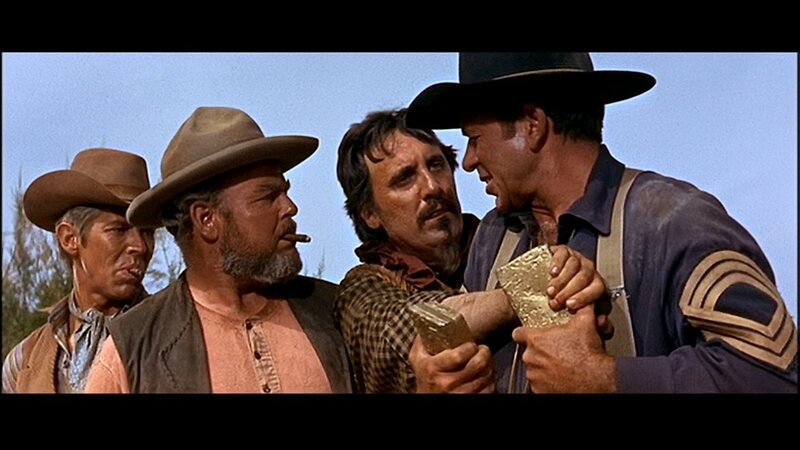 Here we see him making a grab for Claude Akins‘ share of the much-sought-after stash of gold, as trussed-up James Coburn and Carroll O’Connor look on. William A. Graham was at the helm; he also directed Tim in The Name of the Game episode “Fear of High Places” (1968) and Change of Habit (1969). He’s been a hard-working film and television director since the late 1950s. Recently he has been sidelined since a serious motorcycle accident. 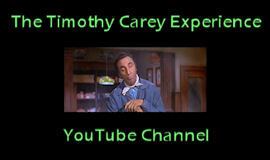 We here at The Timothy Carey Experience wish him all the best. This entry was posted in Film, Television and tagged carroll o'connor, change of habit, claude akins, fear of high places, james coburn, the name of the game, timothy carey, waterhole #3, william a. graham. Bookmark the permalink.